Google has begun rolling out a completely overhauled Play Store to Android devices around the world, bringing a refreshed design that better separates apps and entertainment content. 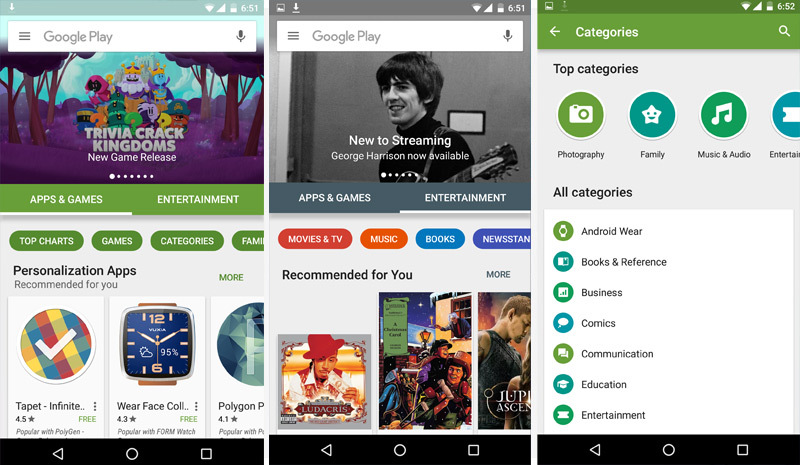 The biggest change to the Play Store is the inclusion of two distinct tabs: one for Apps & Games; and the other for Entertainment, which includes everything from the Play Store's movies, TV, music, books, and newsstand sub-sections. The change gives the Play Store a much clearer divide between apps and other content, making it easier to find what you're looking for. Aside from the inclusion of tabs, navigation has changed through an updated hamburger menu and the inclusion of pill-shaped buttons for different categories. 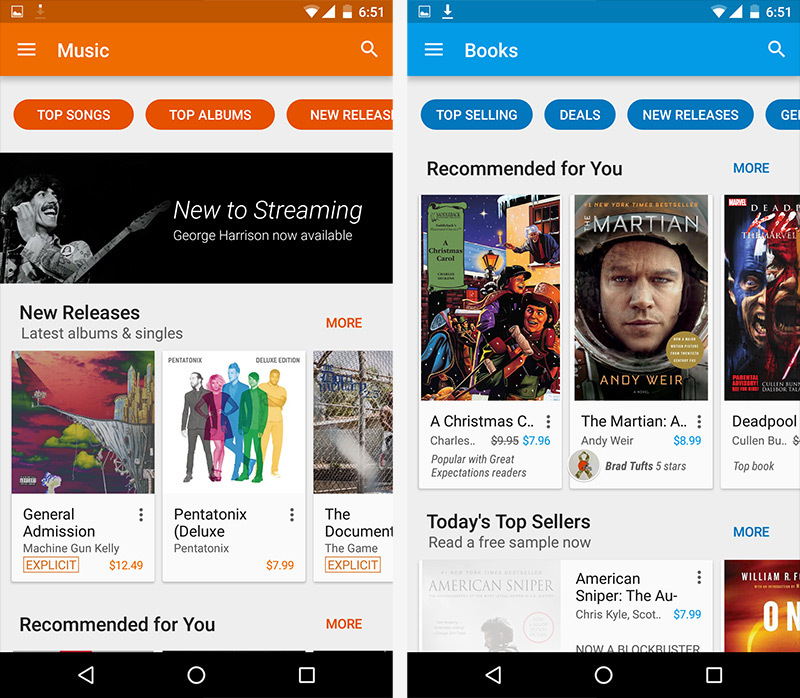 The Play Store still keeps to Google's Material design prinicples, though, so the overarching design should feel familiar and in line with the rest of vanilla Android. While the new Play Store has begun rolling out to some devices around the globe, it could still take a few days or even weeks to hit your Android device. The update hasn't found its way to any of the devices I have handy, unfortunately, although it's clearly already rolled out to the guys over at Android Central. I used to be able to use Google Search to search by playing music and after if found the track, it would take me to Google Play to see it/purchase it. Now I takes me to Google Play through the browser and when I try to purchase it, it takes me BACK to Google Play. WTH!?!?? is something wrong with my OS or is this the new thing?